On April 15, the Center for East Asia Policy Studies at Brookings hosted Singapore’s Minister for Finance Heng Swee Keat for an address on U.S. engagement in Asia, covering both economic and strategic dimensions. On Thursday, April 18, the Retirement Security Project at Brookings hosted an event to explore ways to create lifetime income for people with 401k-type plans. On April 10, the Urban-Brookings Tax Policy Center hosted a discussion on America’s debt and how we can better invest in the future. On April 11, the Center for Technology Innovation at Brookings hosted a conversation with Věra Jourová, European Commissioner for Justice, Consumers and Gender Equality. In this capacity, she plays a central role in EU-U.S. data flows. On April 12, The Center for Technology Innovation at the Brookings Institution hosted a discussion featuring experts on the future of work. Panelists talked about trends in emerging technologies and how robots, AI, and automation will affect the workforce. On Thursday, April 11, the Hutchins Center on Fiscal & Monetary Policy at Brookings hosted Minister Guedes for an update on the Brazilian economy and the government’s economic agenda. On Tuesday, April 9, the Foreign Policy and Governance Studies programs at Brookings hosted a panel discussion on some of these efforts, identifying factors that prevent more veterans from continued service and emphasizing opportunities for engagement across the public, private, and non-profit sectors. On April 8, the Global Economy and Development program at Brookings explored findings from “Global development disrupted: Findings from a survey of 93 leaders,” a new report that surveys development leaders and offers insights on the international development landscape. Report co-author Kristin Lord kicked off with a presentation, followed by an expert panel. On April 5, Women of Color Advancing Peace, Security and Conflict Transformation (WCAPS) and the Foreign Policy program at The Brookings Institution hosted a discussion on the implications of this complex political environment in which domestic and foreign policy decisions influence each other. On April 2 the Governance Studies Program at Brookings and the Urban-Brookings Tax Policy Center co-hosted an event where Senior Fellow Vanessa Williamson discussed a report on her project, “The Filer Voter experiment: How effective is voter registration at tax time?”. On April 1, one year ahead of Census Day, the Metropolitan Policy Program, in partnership with the National League of Cities Institute, explored key issues confronting Census 2020. The sixth annual Justice Stephen Breyer Lecture examined the effects of current and future digital technologies on society, particularly in the areas of privacy, free expression, and other fundamental freedoms, at the intersection of comparative law, technology, ethics, and human rights. On March 28, Brookings Senior Fellow and Lawfare Editor in Chief Benjamin Wittes hosted a panel discussion on the final Mueller report and Attorney General Barr’s letter summarizing the report. Despite unprecedented security cooperation with the US, Mexico continues to face issues related to criminality, human rights violations, and rule of law. 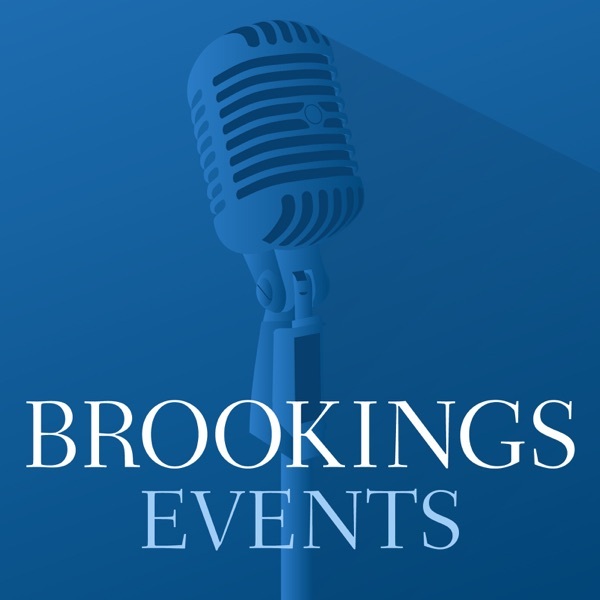 On March 27, Brookings hosted a public discussion on the opportunities and challenges for Presidents Donald Trump and Andrés Manuel López Obrador. On March 25, the Global Economy and Development program at Brookings hosted an event on the 10th anniversary of the 2009 World Development Report, “Reshaping Economic Geography,” which pointed to agglomeration, migration, and specialization as the forces that carved out the pathways to prosperity for people everywhere. On March 25, Brookings Vice President Darrell West discussed his new book and was joined by journalist Karen Tumulty for a conversation. On March 22, the Foreign Policy program at Brookings hosted a discussion involving experts and former government officials to explore this question and others. The USC-Brookings Schaeffer Initiative on Health Policy hosted a conference on emerging policy solutions to deal with surprise medical bills. On March 20, the Race, Prosperity, and Inclusion Initiative at Brookings convened a panel of experts to assess the state of play on juvenile criminal justice records policy. On March 19, Michael O’Hanlon, senior fellow and director of research for Foreign Policy at Brookings, hosted a discussion on the latest report with Patrick O’Brien, director of the DOD Office of Economic Adjustment, and Molly Reynolds, senior fellow in the Governance Studies program at Brookings. On Tuesday, March 19, the Hutchins Center on Fiscal & Monetary Policy and the USC-Brookings Schaeffer Initiative for Health Policy at Brookings hosted outgoing FDA Commissioner Scott Gottlieb to reflect on his tenure and policy reforms. On March 18, the Center on the United States and Europe at Brookings hosted François Héran for the 14th annual Raymond Aron Lecture. On March 14, Michael O’Hanlon—senior fellow and director of research for the Foreign Policy program at Brookings—engaged Undersecretary of the United States Army Ryan McCarthy in a discussion on the Army’s most recent budget request, its operational outlook, and the role it will play in future defense strategy. On March 14, the Center for Technology and Innovation at Brookings hosted a fireside chat with FTC Commissioner Noah Joshua Phillips about these and other questions related to consumer privacy and antitrust laws. On March 13, the Brookings Center for Technology Innovation hosted a discussion about cybersecurity education. On March 13, Foreign Policy at Brookings hosted Estonian President Kersti Kaljulaid for an Alan and Jane Batkin International Leaders Forum. President Kaljulaid has been in office since October 2016 and oversaw the Republic of Estonia’s centenary this past year. On March 12, The Center for Technology Innovation at the Brookings Institution hosted a discussion on the potential impact of AI on U.S.-China relations, with an eye toward new developments, opportunities, and risks. On March 12, the Foreign Policy program at Brookings hosted an event to highlight a new collaborative report which outlines recommendations for the United States and other outside actors on a new policy in Libya. How can public policy keep up with technological change? On March 12, Brookings Visiting Fellow and former FCC Chairman Tom Wheeler debuted his new book, “From Gutenberg to Google: The History of Our Future.” Wheeler was joined at Brookings by Rep. Mike Doyle, Cecilia Kang of The New York Times, and Brookings Senior Fellow EJ Dionne. On March 6, the Center on the United States and Europe at Brookings hosted Secretary-General of the European Commission Martin Selmayr for a discussion on the future of the European Union and multilateral engagement in an era of great power competition. On March 6, the Center for East Asia Policy Studies at Brookings hosted a distinguished panel of experts for a discussion on the Trump-Kim summit in Hanoi. On February 27, the Global Economy and Development program hosted a panel discussion that featured two recent works that address why productivity growth has slowed over the past two decades: “Productivity Revisited: Shifting Paradigms in Analysis and Policy” published by the World Bank; and the “OECD Economic Outlook, November 2018.” Lead authors of these works joined the panel. On February 27, Michael O’Hanlon, senior fellow and director of research for the Foreign Policy program at Brookings, engaged former National Security Advisor Stephen Hadley in a conversation on the future of U.S. policy in Afghanistan, followed by questions from the audience. Then, he moderated a discussion with Senior Fellow Vanda Felbab-Brown and Visiting Fellow Madiha Afzal. On February 15, Brookings hosted the D.C. launch of "In Good Times Prepare for Crisis – From the Great Depression to the Great Recession" by Ira Lieberman. A panel of experts reflected on how lessons from past crises can help resolve future crises with the least possible damage. On February 19, General David L. Goldfein, the 21st chief of staff of the Air Force, delivered a keynote address at Brookings on the challenges faced by the Air Force in this era of great power competition. On February 15, as part of the Brookings Institution’s celebration of Black History Month, Stacey Abram discussed the increasing political power of African-Americans after the 2018 elections and the tensions that may arise as the African-American electorate and candidates claim more political space. On February 14, Brookings hosted a symposium bringing together U.S. and tribal government officials, academics, and experts to discuss what’s next for the American Indian gaming industry. On February 1, Michael O’Hanlon—senior fellow and director of the Africa Security Initiative at Brookings— led a panel discussion with experts on the results of the DRC’s elections, and the country’s uncertain future ahead. On February 12, Rep. Seth Moulton (D-Mass.) delivered a keynote at the Brookings Institution on House Democrats’ vision for the future of U.S. defense policy. Then, Senior Fellow Michael O’Hanlon engaged Rep. Moulton in a conversation on what a new era of divided government means for defense policy, budgets, and strategic planning. On February 7, Foreign Policy at Brookings hosted former Italian Prime Minister Paolo Gentiloni for an Alan and Jane Batkin International Leaders Forum. On February 11, the Center for East Asia Policy Studies hosted the Japanese Ministry of Economy, Trade and Industry's director for international cooperation for a keynote address on Japan’s goals and policies to advance Asian connectivity, followed by discussion and Q&A with a panel of experts. On February 11, the Center for Technology Innovation at Brookings hosted a panel to discuss the future of AI in metropolitan areas, focusing on AI as a tool for integrating information, coordinating services, and improving leadership decision-making. The dissatisfied public: What can Congress do? On January 30, the Program for Public Consultation at the University of Maryland released a series of in-depth studies of American voters that address public dissatisfaction with the federal government. On January 31, think tank presidents and researchers from around the world convened for the annual “Why Facts and Think Tanks Matter” forum for a discussion on global trends in politics and policy advice. The forum also featured the launch of the 2018 Global Go To Think Tank Indexreport from the University of Pennsylvania’s Think Tanks and Civil Societies Program. On Friday, February 1, the Hutchins Center on Fiscal and Monetary Policy at Brookings hosted Kimberly Clausing to make the progressive case for free trade. On January 30, 2019 the USC-Brookings Schaeffer Initiative for Health Policy hosted Eric Hargan, the Deputy Secretary of Health and Human Services, for a discussion about this effort. Following his presentation, experts in health care payment and delivery system reform discussed the issue and the path forward. On January 28, Governance Studies at Brookings convened a panel of policy experts to discuss what they hope to hear and what they expect to hear in this year’s State of the Union address—whenever and however it is delivered. On January 29, James H. Anderson—assistant secretary of defense for strategy, plans, and capabilities—delivered a keynote at Brookings on the Missile Defense Review and its significance for U.S. defense policy. That was followed by a Q&A between Dr. Anderson and the audience and panel discussion with a range of experts. On January 28, Brookings Senior Fellow Michael O’Hanlon engaged Chief of Naval Operations Admiral John Richardson in a discussion on the Navy’s operational outlook, its plans for future growth, and its assessment of the increasingly contentious maritime domain in this era of great power competition. Should Americans work longer before retirement? If so, what public policies can help to foster longer working lives? On January 24, in conjunction with the Kellogg School of Management, Brookings took a hard look at these questions with an event featuring two presentations on proposed reforms to make the workplace more appealing and accommodating for older workers. On January 23, The Center for Technology Innovation at the Brookings Institution hosted a discussion on the relationship between 5G networks and IoT applications, with an emphasis on how it stands to benefit communities of color. On January 17, the Africa Growth Initiative hosted a Foresight Africa launch featuring a panel of leading Africa experts to offer insights on regional trends along with recommendations for national governments, regional organizations, multilateral institutions, and civil society actors as they forge ahead in 2019. On January 7, 2019, the Foreign Policy program at Brookings hosted a discussion involving experts and former government officials to explore the New START Treaty and strategic modernization systems. On December 6, the Center for Technology Innovation at Brookings hosted Microsoft President Brad Smith to discuss the challenges of facial recognition, especially around bias, privacy, and democratic freedoms. On December 6, the Center for East Asia Policy Studies hosted Gene Park, Saori N. Katada, and Yoshiko Kojo for a discussion of their recently published book. On Wednesday, December 5, the Brookings Metropolitan Policy Program and Gallup explored the findings of the report, "The devaluation of assets in black neighborhoods: The case of residential property," by Andre Perry, Jonathan Rothwell, and David Harshbarger. On December 4, the Center for East Asia Policy Studies at Brookings hosted distinguished U.S. and Asian counterterrorism experts to articulate the terrorist threat in East Asia and how it has evolved in the region. On November 29, 2018, the Global Economy and Development Program at Brookings and Carnegie Mellon University’s Heinz College of Information Systems and Public Policy co-hosted an event with city officials and development experts to explore the value proposition of the Sustainable Development Goals for U.S. cities. On November 27, Michael O’Hanlon, director of the Africa Security Initiative at Brookings, moderated a discussion on Africa's power transitions and what the international community can do to help facilitate them with former Ambassador to the African Union Dr. Reuben Brigety and Brookings Nonresident Fellow Dr. Ken Opalo. On November 20, Brookings Foreign Policy Senior Fellows Mireya Solís and Vanda Felbab-Brown engaged Mexico’s Ambassador to the United States Gerónimo Gutiérrez Fernández and Wilson Center Public Policy Fellow Earl Anthony “Tony” Wayne, who also served as former U.S. ambassador to Mexico and assistant secretary of state, in a discussion of the state of U.S.-Mexico relations at present and going forward. On the heels of a major new report from the Intergovernmental Panel on Climate Change on the rising risks of climate impacts, on November 19th Brookings hosted Rachel Kyte, CEO of Sustainable Energy for All, in conversation with David G. Victor. On Tuesday, Nov. 13, Hess debuted his memoir at Brookings and was joined by USA Today’s Susan Page for a discussion. To mark the centennial remembrance of Armistice Day, Brookings Senior Fellow Robert Kagan and Columbia Professor Adam Tooze discussed how those decisions and events unfolded, and how they affected the subsequent course of history, right up until today. On Thursday, Nov. 8, Governance Studies at Brookings convened a panel of experts to address these questions and more. On Monday, Nov. 5, Governance Studies at Brookings hosted the author in a discussion with Brookings Senior Fellow Bill Galston. On Thursday, November 1, the Global Economy and Development program at Brookings hosted an event to learn about a more iterative, agile approach to solving development problems that tackle the norms, systems, and institutions that impede innovation in the social sector. On Thursday, Nov. 1, Governance Studies hosted a panel of experts to discuss these questions as they relate to the upcoming elections. On October 30, Brookings Center on Regulation and Markets convened an event to explore the current state of airline industry regulation and competition. The China debate: Are US and Chinese long-term interests fundamentally incompatible? On Tuesday, October 30, Evan Osnos moderated a public debate about the future of U.S.-China relations. On Monday, Oct. 29, Governance Studies at Brookings and PRRI hosted an event to release this year’s American Values Survey. On Monday, October 29, the Metropolitan Policy Program hosted an event in partnership with Child Trends, marking the release of new research examining the quality of jobs held by young adults from disadvantaged backgrounds and the specific employment, education and training experiences that are associated with higher-quality jobs. On October 25, the Center for Middle East Policy at Brookings hosted a discussion on the war and humanitarian crisis in Yemen. Daniel Byman and Bruce Riedel, senior fellows in the Center for Middle East Policy, were joined by Dafna Rand, vice president for policy and research at Mercy Corps and a former White House and State Department official, and Fatima Abo Alasrar, senior analyst at the Arabia Foundation. The Project on International Order and Strategy hosted Marshall Billingslea, assistant secretary of the Treasury for terrorist financing, to address how the Treasury Department’s financial tools fit into the larger strategy to address the crises in Nicaragua and Venezuela. On October 23, 2018, the Center on the United States and Europe at Brookings hosted a panel discussion on the Brexit endgame. It examined what the decisions of the coming weeks could mean for the U.K., Ireland and Northern Ireland, Scotland, the European Union, and the United States. On October 18, Brookings’s Project on International Order and Strategy, and the John L. Thornton China Center hosted a discussion of how ideology and values may intensify U.S.-China rivalry, particularly in the wake of significant shifts in U.S. policy, and developments in China, such as a push toward mass surveillance and piloting of a “social credit” system; well-documented reports of large-scale repression of the Uighur minority in Xinjiang province; and efforts to reshape the international human rights regime. On Wednesday, Oct. 17, Kalb debuted his book at Brookings and was joined by veteran journalist Dan Rather for a discussion about its main themes. The two journalists explored how Trump has delegitimized the American press and why we should fear for the future of American democracy. On Wednesday, October 17, the Hutchins Center will host an event at which the authors of those papers – Ken Kuttner of Williams College, who wrote about the United States, and Giovanni Dell’Ariccia, Pau Rabanal, and Damiano Sandri of the International Monetary Fund, who wrote about the rest of the world – will present their findings and discuss them with a panel of monetary policy experts. On Tuesday, October 16, the Global Economy and Development program at Brookings hosted the D.C. launch of "India Transformed." On October 16, the Center on Regulation and Markets at Brookings hosted Kara Stein, commissioner at the U.S. Securities and Exchange Commission, to give her perspective on how the SEC can best provide that assistance. On Monday, Oct. 15, Governance Studies Brookings hosted a forum to explore the complex public policy questions raised by opioid abuse. On October 9, the John L. Thornton China Center convened a panel of experts to discuss China’s environmental agenda at the international, national, and subnational levels. On October 8, the Center for East Asia Policy Studies hosted a panel of experts to examine the challenges facing the rules-based trading system in this geopolitical moment. On October 5, the Foreign Policy program at Brookings and the United Nations University’s Centre for Policy Research (UNU-CPR) presented a discussion of alternative strategies and justice issues for countries affected by jihadi violence. The state of the rule of law in the US: Where are we now, and what is to come? On Wednesday, Oct. 3, Governance Studies at The Brookings Institution hosted a half-day event on the rule of law, featuring three bipartisan panels of prominent experts. On September 27, Foreign Policy at Brookings hosted President Sauli Niinistö of Finland for an Alan and Jane Batkin International Leaders Forum.